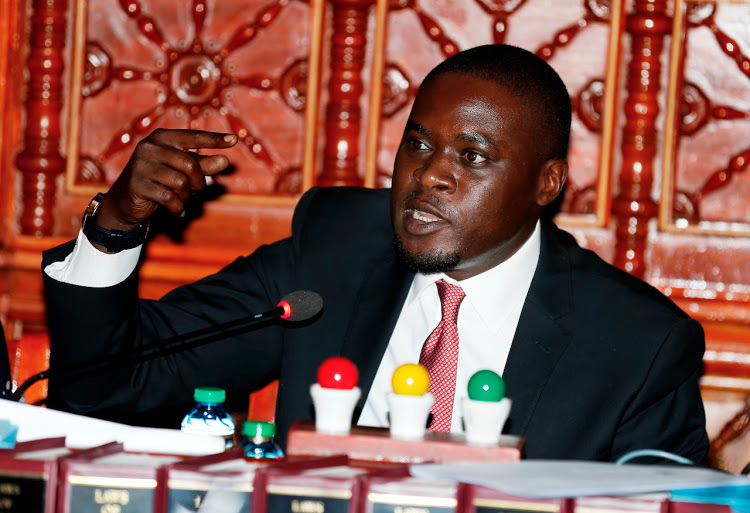 Friday April 12, 2019-Nairobi Senator, Johnston Sakaja, has asked President Uhuru Kenyatta to sack all those corrupt officers in his government. Speaking at the Senate on Thursday, Sakaja said the time has come for the President to sack thieves who are working in his government. Sakaja argued that Uhuru should fire the corrupt officers in the same manner that he appointed them. “When you appointed them no one asked us, so in the same way get rid of them, Kenyans are suffering [in] this country, Kenyans are feeling their own lack of personal opportunities is because of the of corrupt few… fire them,” Sakaja said. and it should start by him sacking himself and wherever his family/relatives members are cos they are the most looters in the entire republic of Kenya.